School tours(Spring/ Summer/ Fall) 25 minimum for your group no exceptions. Field trip price $10 child. Teachers/aide are free. New to 2017 Chaperones only $5 with no pumpkin included. If trip is cancelled by school one week prior $50 fee is required. Weather does not apply to this. 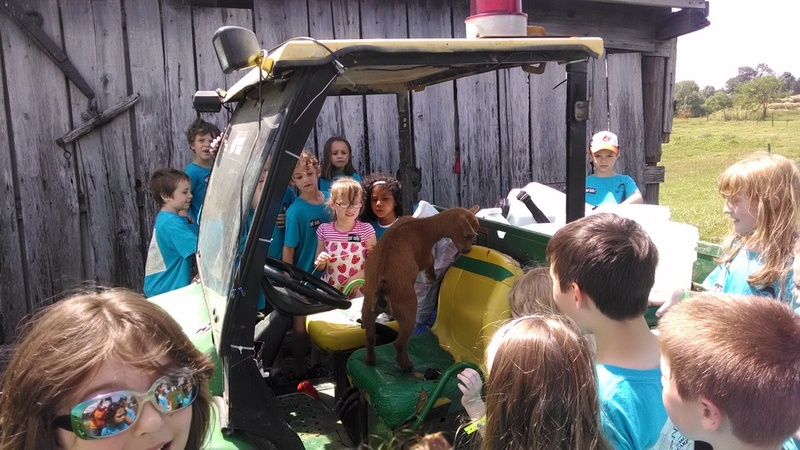 During the field trips, the children get the opportunity to pet and feed different types of animals and to go on a hayride to the pumpkin patch. In the fall, the children and teachers pick their own pumpkins to take home. As of 2017 we decided to lower price of chaperone and have no pumpkin included to help all around on costs. Children may feed grain to the sheep, goats, and the llama. They also have a chance to pet the sheep and goats, and visit/hold our rabbits. 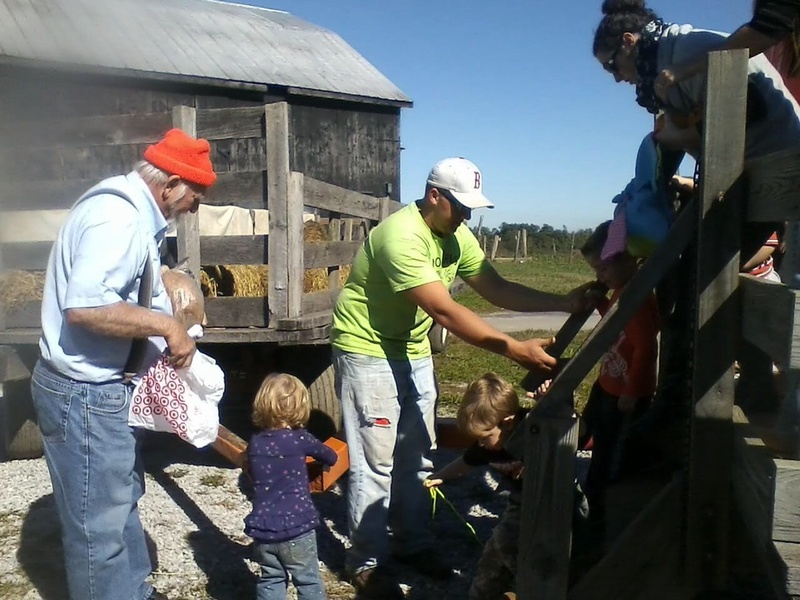 While on the hayride to the pumpkin patch students will see the horses and cattle grazing in the fields and ducks/geese on the ponds. From a safe distance they can see beehives where our honeybees live and learn how they pollinate the crops and provide us with honey. The beekeeper will give a honeybee talk and show your group all of his equipment and how to start a hive and care for the hive. Students also have the opportunity to visit with our calves, lambs, and milk the cow! Hand washing facilities are provided near the petting barn. The field trip are all guided and last 1 hr and 45 min to 2 hours. On our spring field trips in May we teach the children about planting and they learn to shear a sheep in place of picking a pumpkin! Spring Field Trip Days book quickly, as there are limited dates available.